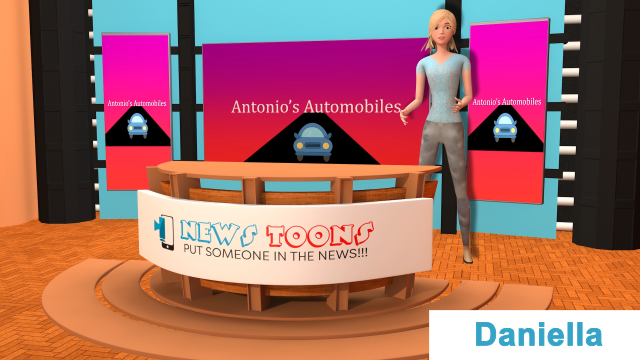 NewsToons are 15, 30 and 60 second narrated 3D news style character animations you (the customer) write yourself. Extremely popular with kids, NewsToons are a great way to recognize an effort, success or milestone. 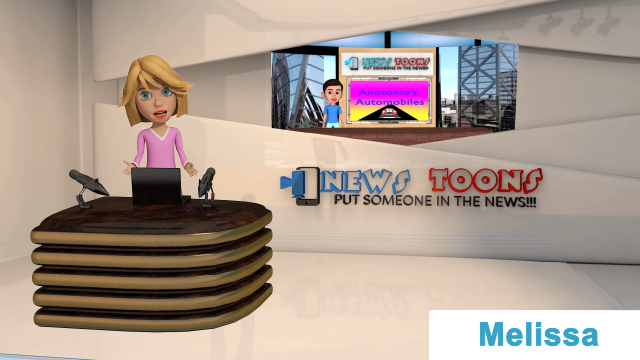 You can learn more about NewsToons by visiting our dedicated website at www.newstoons.net and/or watching our demos below. 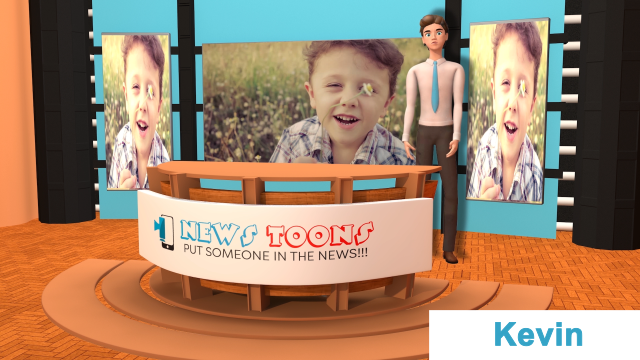 Simply put, a NewsToons is a cartoon news broadcast. 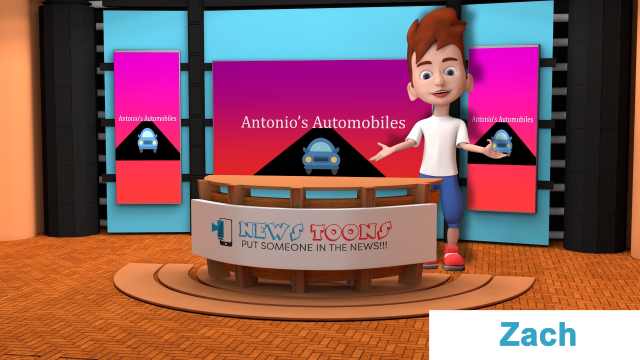 To order a NewsToons you pick one of our 3D characters and newsrooms, provide the exact text (the exact narrative as in word for word) and even upload your own media to go into the background. NewsToons are sized 1920 by 1080 and/or 1080 X 1080 (for Instagram) which is perfect to post on social media. These are our awesome 3D characters you can chose from. We are aggressively building our News Toons portfolio so please come back soon. We also offer different newsrooms below. NewsToons are so popular with kids we sometimes get fan mail. Reactions are priceless. 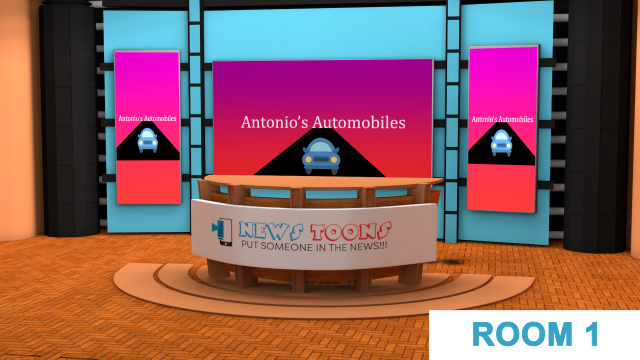 These are the two news studios we offer as of today. Again please come back very soon as we are adding a third within the next few days. 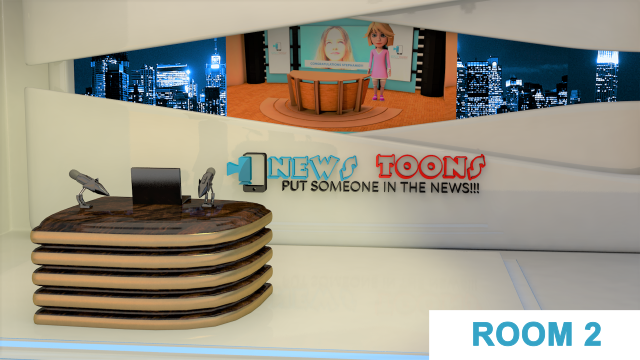 Within the next 60 days you can expect a major upgrade to our entire News Toons portfolio.